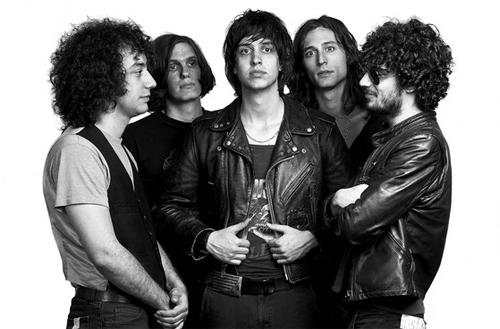 Is it exciting to have The Strokes back? I'm not 100% sure - but given the recent dearth of guitar music, it's good to hear from a band who know their way around (i) a riff and (ii) a melody. Leveraging this fact, Julian Casablancas and co have secured exclusives on three separate radio stations today. Admittedly the first one can't have taken much negotiation - with the premiere of OBLIVIUS coming, as it did, on on Casablancas' own radio show. A sleazy, droning track called Drag Queen followed on Zane Lowe's Beats 1 thing; followed by the poppiest effort of the three - Threat of Joy - as Annie Mac's hottest record. Either The Strokes very confident in the new material or they're hedging their bets... I'll let you decide which via a series of poorly-implemented embedded proprietary audio players. Honestly, is it any wonder YouTube beats the pants off every other streaming site in the world?